Vintage Restyled: Filling it back up! 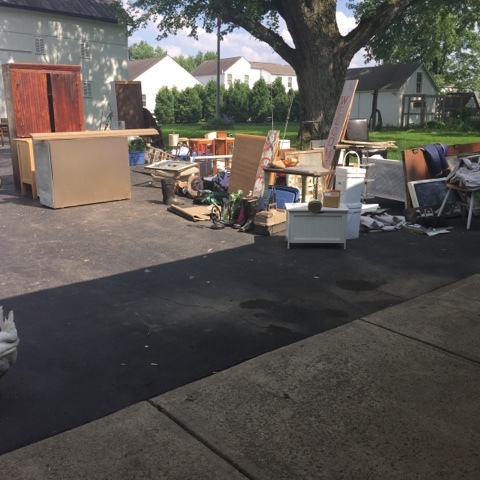 On Friday I shared my traumatic (& forced) garage clean out. We managed to park both cars in the garage and place a few treasures back as well. 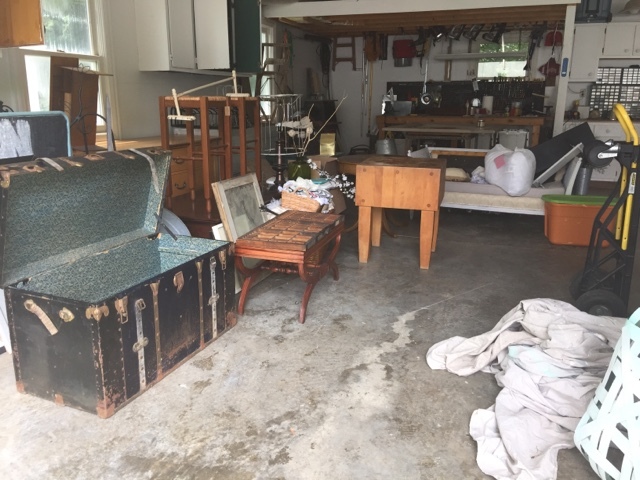 I'm feeling better, as new treasures have found their way into the clean garage. People, I know it's a disease. I'm trying, I felt I was more selective as I piled junk in my car. It's really the girls fault. There was an early soccer game in Dayton, the Route 40 sale was still happening and it was right there. What's a gal to do? Best news... Most is going to the shoppe! Look for a vintage, farmhouse vibe arriving for Wednesday!